Kim Chol-jin is the newest influential economic policymaker in North Korea said analysts, after television images recently showed the bureaucrat accompanying head of state Kim Jong-un on multiple inspection rounds. 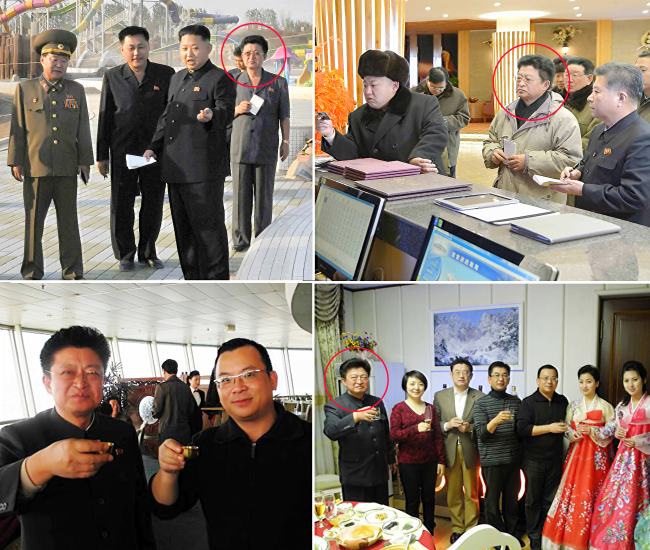 The North Korean Central News Agency broadcast images of Kim Chol-jin, the deputy chief of the National Committee for Economic Development, shadowing the North Korean leader to economically symbolic sites such as the Masik Pass ski resort last December. The ski resort opened last year as part of efforts to boost foreign tourism in the reclusive country. North Korea analysts expect Kim Chol-jin to spearhead much of the North’s recent economic plans to earn cash through foreign investment. But the latest television images showing Kim Chol-jin do not include his immediate boss, the chief of the National Committee for Economic Development, implying that he is the de facto executive and his boss a mere figurehead, according to sources. The deputy committee chief is an experienced trade official. He served at the North’s Ministry of Foreign Trade and at government agencies facilitating Chinese investment. Sources say he has extensive business connections in China and experience trading with South Korea in the mid-2000s. Kim, along with Park Bong-ju, the Premier of North Korea and Roh Du-chol, head of the National Planning Commission, are expected to be the key members of North Korea’s economic policy team. North Korea experts consider Park and Roh to be market-orient reformists although one analyst voiced caution. “Yes, (there) are changes on the margins, but they’re more for maintaining the current (political) system,” said Daniel Pinkston, the Deputy Project Director of the International Crisis Group’s North East Asia office. The North’s economic development committee is the communist country’s key macroeconomic decision-making body. The committee oversees special economic zones, which lower taxes for foreign companies willing to invest there. Russia and China have been the main bidders. Sino-North Korean trade, meanwhile, increased by 10.4 percent on-year in 2013 to $6.45 billion, according to the Korea International Trade Association. Kim Jong-un’s regime purchased $598.1 million worth of crude oil from China last year.